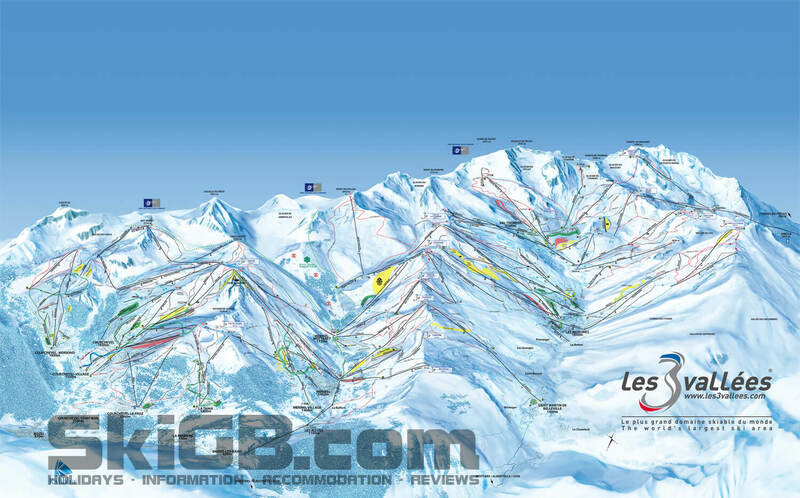 3 Valleys Pistes Maps, The latest versions with NEW LIFTS! The 3 Valleys is a vast ski area and can take a little while for someone new to the area to get their bearings. 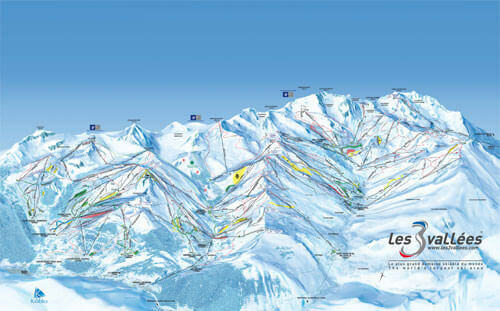 BUT don’t fear we have the most up to date 3 Valleys piste map with ALL the newest lifts and pistes. The 3 Valleys is constantly updating their lift system and the piste map changes most seasons, make sure you download the most up to date version. The nice guys of the 3 Valleys have created this great short video showing each of the areas in each valley. You can see how they are connected and how far away from each other they are. Don’t forget to bookmark the page if intend coming back to the 3 Valleys next season to get the most up to date Piste Maps. At the top of the page we have the normal Social Network buttons, so let your friends know of these files! Download the piste maps to your mobile before going going on holiday, just click on the thumbnail image.